Mobile has become standard in the enterprise with smartphones and tablets common in the workplace. Anywhere, anytime access to company systems is expected and systems must work flawlessly on these devices! This demand is requiring that corporate IT departments figure out the best mobile strategy to follow. 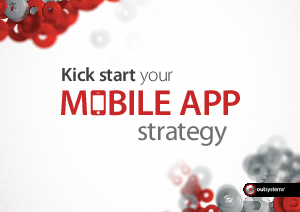 This eBook looks at how to kick start your mobile application strategy. • What are the three primary mobile application types? • What type of app should you build first? • How to get started, really fast! Get this eBook for help defining your mobile app strategy! Complete the form on the right to get the eBook.